There's no doubt that having a custom inflatable product replica at your next event will attract customers to your business. 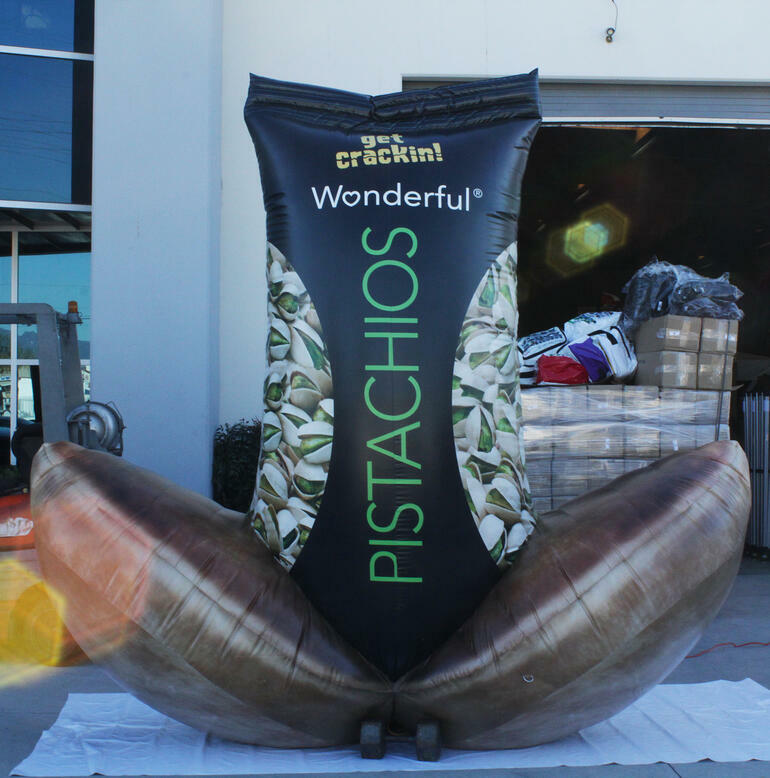 Unique products often impress, and when it comes to a fun and playful inflatable prop like this pistachio bag, people just can't help but want to take a photo with it. Customer engagement is a huge step towards getting them more acquainted with your products or service. This super customized inflatable depicts a bag of pistachios popping out of a cracked pistachio. Clever little ideas like that make a huge difference when creating an engaging marketing product. Our inflatable design team focuses and studies each product and directly conveys those details onto the finished product. Our printing department makes sure all the colors come out according to the client's specifications. The end result is an accurate and inviting inflatable replica that begs to be paid attention to. A compact inflatable, like the one here, is easily set up, so you have more time to engage with potential customers. These wonderful props can be set up indoors or outdoors. Since all the set-up accessories are included, you don't have to worry about anything else. Custom inflatable prop, made to last.